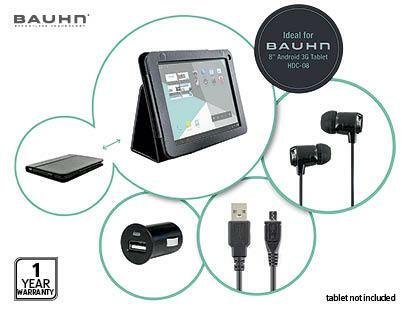 The Bauhn HDC-08 Android tablet will be available through Aldi supermarkets from Wednesday, 21 August. The Bauhn-branded HDC-08 tablet is the fifth device of its kind that the supermarket chain has sold in Australia, and the third Android tablet it has stocked this year. The device has an 8in display with a resolution of 1024x768, comes with 8GB of internal memory and has a 5-megapixel rear-facing camera. It runs the 4.1 "Jelly Bean" version of Google's Android operating system. Other specifications include 1GB of RAM, a 1.2GHz dual core processor, a microSD card slot that allows users to expand the memory, and a built-in GPS chip. It also has a non-removable 3000mAh lithium polymer battery. The tablet supports the 850MHz and 2100MHz 3G network bands in Australia so it's suited primarily for use on the Telstra network. Despite being a tablet, Aldi says the Bauhn HDC-08 can make voice calls and send SMS and MMS messages just like a regular smartphone. The Bauhn HDC-08 tablet as it appears in Aldi's latest shopping catalogue. 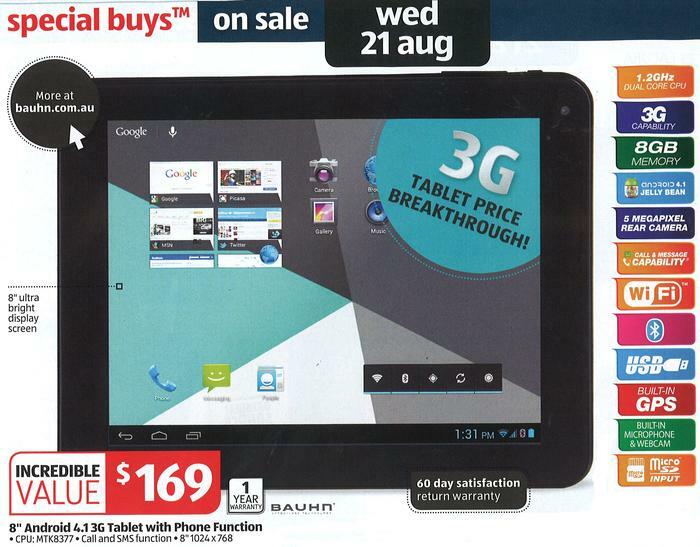 Aldi has advertised both the Bauhn HDC-08 tablet as a "limited special buy" product and says stocks will vary between stores. The supermarket chain also says that the product may sell out on the first day due to "unexpected high demand." Aldi refuses to reveal exact sales figures of its limited run products, but it is believed the supermarket completely exhausted Australian stocks of the original Bauhn tablet in days last year. Bauhn and provides a one year warranty with the new Android tablet, while Aldi says it will refund or replace any product within 60 days, provided it obtains a proof of purchase. Aldi's 8in tablet accessories pack ($19.99). Along with the 8in Bauhn tablet, Aldi has also advertised an accessory pack for the device. The "8in tablet accessories pack" ($19.99) includes a case with flip-out stand, headphones, a USB in-car charger, and a micro-USB cable. 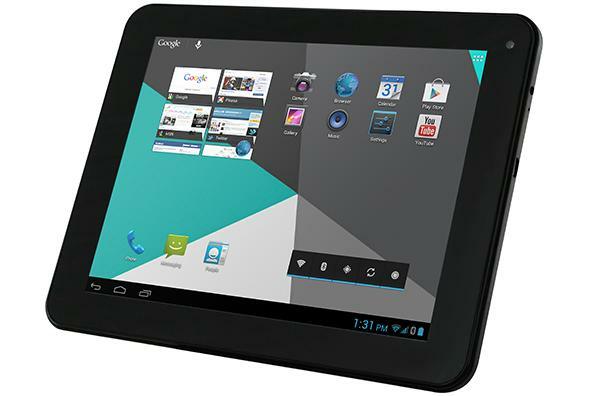 Are you interested in low cost Android phones and tablets? Let us know your thoughts about the 8in Aldi tablet in the comments below!